Have you been scrubbing the floor for hours without noticing any favorable results? Sometimes, even the toughest chemicals don’t do what they claim and are unable to help you get rid of nasty stains. That’s when you realize that an ordinary garden hose or tub of elbow grease just won’t cut it. In such cases, it is important you invest in a handy pressure washer. Already a Pressure Washing Pro? Pressure washers are handy cleaning tools that can be used for a variety of cleaning tasks. Pressure washers shoot out a fine spray of water at an alarming pressure, allowing you to clean grime or dirt off common garden or home items. This includes patio furniture, vehicles, boats, driveways and more. These machines are either powered by gas or electricity. Simply aim the wand and watch the machine work its magic. Wondering how these ﻿﻿unique contrapti﻿﻿ons work? Well, the idea is fairly simple. 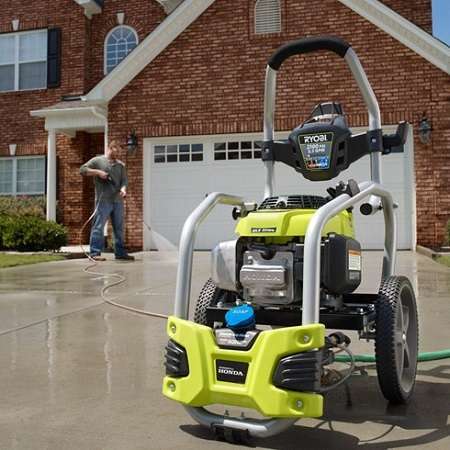 Pressure washers run through an electric or gas motor that powers a pump. This pump generates and increases pressure on water coming out of a typical household garden hose. This high-pressure water then travels through another hose and comes out via a handheld wand that is aimed at the cleaning surface. Interchangeable and differently shaped nozzles alter the spray pattern. 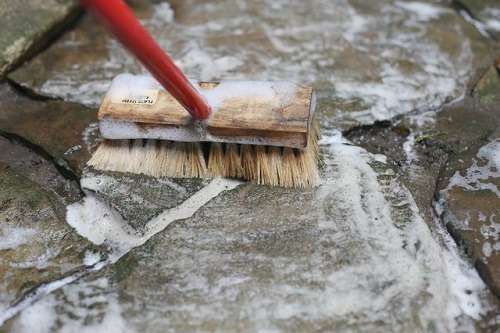 While a powerful stream can strip off paint from a deck or house, a light spray can help you clean the driveway. 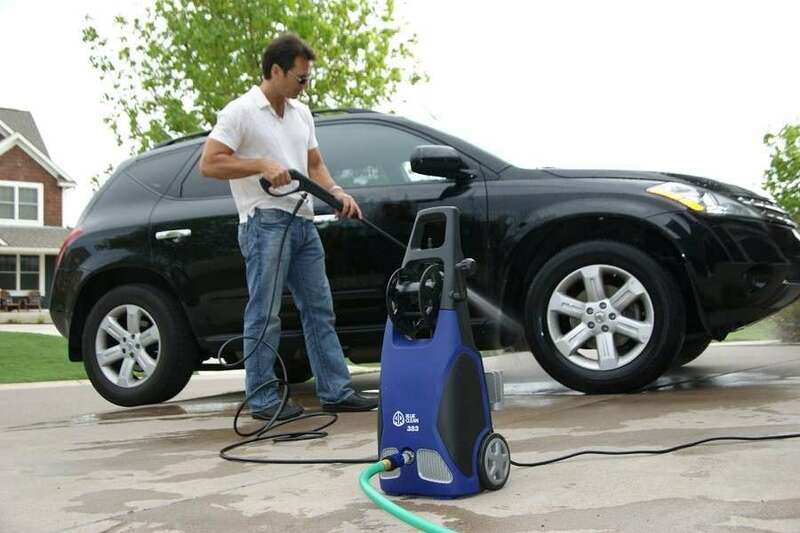 Electric pressure washers are best suited for light and small projects, such as cleaning vehicles and patio furniture. Electric models are also quieter than their gas counterparts. Simply flick on the switch and watch the motor work its magic. The machine also runs cleaner than a gas engine. Gas pressure washers are more powerful and function better than regular pressure washers in the market. These washers are suitable for tougher and larger jobs, such as cleaning the decks, patios among others. Gas pressure washers also give you the liberty to move around since they don’t require you to be close to a power outlet. Before you go shopping for the best and most high-powered machines in town, you need to be familiar with the cleaning power. The cleaning power of a pressure washer is measured by gallons per minute (GPM) and pounds per square inch (PSI). These ratings help you determine how powerful or fast the stream of water will be. PSI denotes the pressure of the water created by the appliance. This rating refers to how powerful the stream of water will be when it will come out of the machine’s wand. GPM determines the volume of water distributed through the machine. The GPM determines how efficient or fast the machine is. This determines how efficiently the machine can get rid of stains. Water Inlet: Pressure washers feature a hose that connects to the main water supply. You will probably find a filter located in the inlet to prevent dirt from entering the washer and clogging up the system. The last thing you want is finding tiny bits of grit inside your washer. This could potentially ruin the machine and cause the grits to blast out of the system at a high speed. Gas and Electric Engine: Bigger pressure washer models feature gas engines whereas smaller models are powered by electricity. Gas engines models are best suited for heavy-duty tasks, such as cleaning up the driveway whereas electric models are great for domestic purposes. Additionally, gas engine models are suitable for cleaning places where you might not have access to an electric supply. The motor or engine is used to power the water pump that shoots out water. ​Water Pump: The water pump is among the most important components of a pressure washer and is considered the heart of a pressure washer. The water pump operates similar to a hand-operated ground water pump except that it features a high-powered motor instead of utilizing manpower. When the engine pulls up the pump, it retrieves water from the faucet and squirts it out in a high pressure jet. These pumps are designed to withstand a water flow of around 1 to 2 gallons of water per minute. ​High Pressure Hose: A high-pressure hose is a tube that extends from the washer and connects to the cleaning attachment you have decided to use. An ordinary pipe or tube would not be capable to survive high-pressure water flowing from it. A high-pressure hose features a mesh wire with two more layers of high-density plastic. If you are purchasing a hose separately, ensure that it is of a higher rating than the pump. However, if the washer comes with its own hose, you don’t have anything to worry about. The safety margin of these hoses is about 300% hence if the machine is rated at 2000 PSI, you do not have anything to worry about. 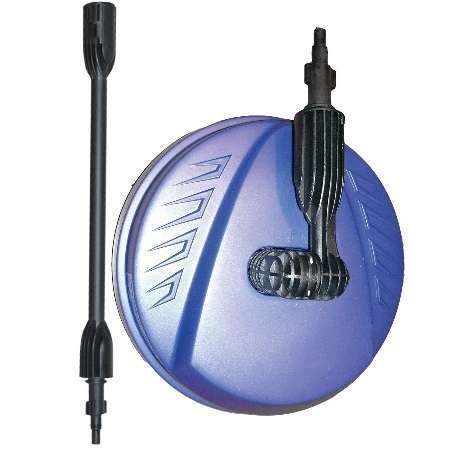 Cleaning Attachment: Depending on the brand and model you are using, you can switch from a simple device to a rotating brush to a spinning wand spray that offers better cleaning. Most attachments are driven by the force of water flowing through them. 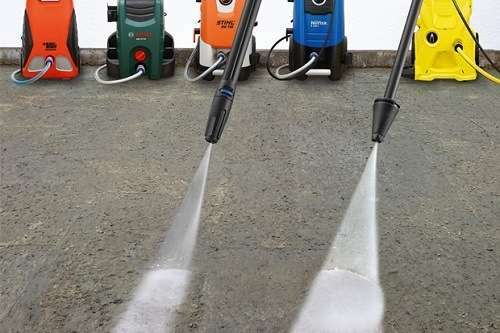 The key to choosing the best pressure washer depends strongly on your needs and requirements. A pressure washer directly connects to your gardening hose and has greater cleaning power than you would get from a normal gardening hose. 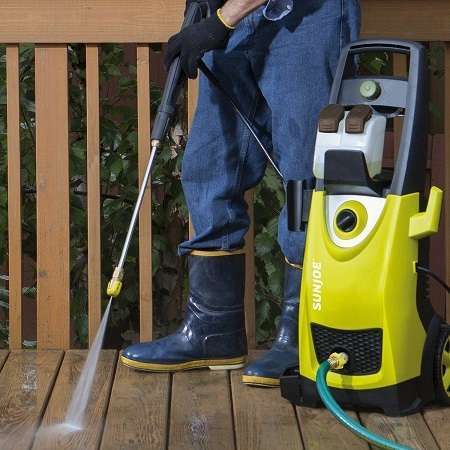 The pressure washer connects to an extension and spray gun that delivers a high-powered stream of water. Most light-duty machines with 1,200 to 1,900 PSI are capable of cleaning up to 10 to 40 feet in about 10 minutes. These machines are best suited for cleaning garage floors, vehicles and patio furniture. Medium-duty machines with 1,950 to 2,600 PSI are capable of cleaning up to 40 to 90 square feet within 10 minutes. This kind of pressure washer is best suited for cleaning larger areas, such as sidewalks, decks or driveways. Last, but not the least, heavy-duty pressure washers with about 2,650 to 3,800 PSI are capable of cleaning 90 to 190 square feet in about 10 minutes. This type of machine is best suited for cleaning sidings and fences. Before you invest in the right pressure washer, do not forget to keep the GPM level in mind. Once you have determined the GPM, multiply it by the PSI to determine the cleaning power of the machine. While gas pressure washers are high-powered and are best suited for heavy-duty cleaning operations, they can be loud. In addition, you will also have to include the cost of buying spark plugs, oil and gas. Additionally, gas powered models can also be difficult to start and give off emissions. On the other hand, electric models are best suited for simpler tasks but are tethered to an electrical extension cord. This makes it difficult to transport pressure washers and can result in restricted movement. The machine’s power cord must also have an in-built (GFCI) round fault circuit interrupter to prevent electrical shock. Evaluate the spray nozzle before investing in a pressure washer. A telescoping wand makes it easier for homeowners to clean sidings and other raised areas. The width of the spray can be adjusted by turning and twisting the nozzle to accommodate different tips. Look at the accessories before investing in the best pressure washer in the market. Evaluate all the accessories before purchasing the product, such as a broom attachment and rotating scrub brush for cleaning gutters. To evaluate the quality of the pressure washer, consider the weight of the extension wand and spray gun. However, keep in mind a heavier unit will be difficult to move around and will require 2 hands to operate. Before investing in the right pressure washer, decide whether you need a cleaning detergent. Detergent tanks are beneficial for cleaning heavy stains, mildew, molds and enhancing cleaning power. Invest in a pressure washer with a solution storage tank to make cleaning easier. Don’t forget to invest in the ﻿right hose to ensure your machine works perfectly. This won’t be much of a problem as your pressure washer already comes with a hose. However, you may need to invest in a longer hose, depending on the nature of your needs. While in most cases, water is sufficient to get rid of dirt and debris, sometimes you might need a little extra help. Rest assured, you won’t require soap unless there is mold and mildew. In these cases, you can fill the detergent compartment with a cleaning agent or even mix it up with some regular household bleach. However, if you are working with bleach, don’t forget to wear protective eyewear and rinse nearby plants once you are done. If you are about to clean the windows, consider preparing them to make the task easier. Start by shutting and locking all the windows you will be working on. Also, be careful not to directly spray on the window. Due to high pressure, the water can easily seep through the sides and enter your home. If you are using a pressure washer for the first time, consider starting with the least powerful nozzle. You can start with a nozzle numbered 40 and stand at least three feet away from the area and only spray on a small part. Don’t forget to stop and check if the spray is damaging the surface or not. Using a pressure washer becomes easier if you wash the area in sections. If you are only working with water, start working from top to bottom. 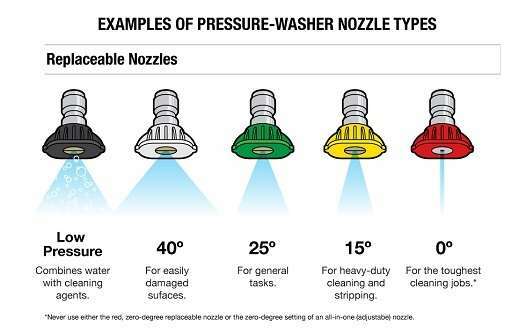 Choose a switch with a powerful nozzle that can dig through tough spots. Also, keep the spray moving for a better cleaning session and results. However, if you are using a cleanser, start cleaning from bottom-up and begin rinsing with fresh water. Despite being careful, you are likely to hit to hit a window, perhaps leaving behind a spot of dirt. In such cases, immediately use a lint-free towel to wipe off the windows before it leaves a mark, resulting in a better finish. If a pressure washer is too expensive for you now, consider renting a machine instead. Depending on where you live, a renting a pressure washer for a day can cost you between $50 and $250. However, if you plan on cleaning your driveway annually, consider investing in a pressure washer instead. 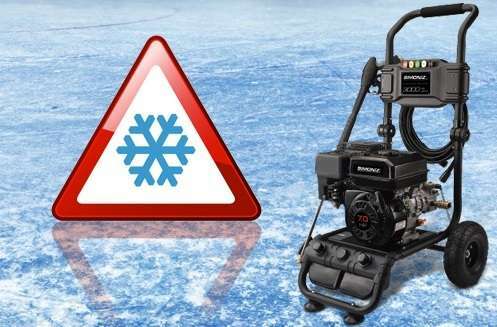 If you live in a place where you actually experience winter, it is best you take precautionary steps to prepare your power equipment for hibernation. Sure, storing the machine in your basement or garage is a simple way to protect it from outdoor elements but you should consider several other factors. Most garage and sheds are not insulated enough which means you might have to take additional steps to protect expensive equipment. Additionally, one must also be cautious about the liquids present in the unit during cold weather. Any fluids left inside the machine can cause problems. For example, water can crack or expand components, such as detergent lines, hoses, manifold etc. Not to mention, oil thickens during low temperature and would not work as an effective lubricant. So, don’t forget to empty the machine and discard all types of fluids to prevent it from cracking or breaking the machine. The engine is the single most important component of the pressure washer. If you have a gas powered pressure washer, use a fuel stabilizer. All types of engines need special protection if they are being stored for long periods of time. Gasoline can become stale in less than 30 days, leading to costly repairs and internal component failures. Adding ﻿f﻿﻿﻿uel s﻿tabilizer﻿﻿﻿ reduces the risks of corrosion, rust and prevents buildup from deteriorating gasoline. Carefully go through the instructions and warnings printed in the user manual. This will prevent you from doing something that could wreck the machine. Connect the hose and switch on the water supply. ​To remove traces of leftover detergent in the tank, allow the unit to run with the soap nozzle so that no detergent remains. Now, place the detergent siphoning tube in a bucket of clean water and run it with the detergent nozzle for a couple of minutes. ​Turn off the main water supply and the engine. Squeeze the trigger and release the trapped pressure by aiming the spray gun in a safe location. Once the machine cools down, disconnect hoses from the high pressure outlet and spray gun. Use a clean piece of cloth to wipe off the hose. Store away accessories and yank the recoil handle 6 times to empty the pump of fluids. Connect a 3-feet long gardening hose to the water inlet adapter. 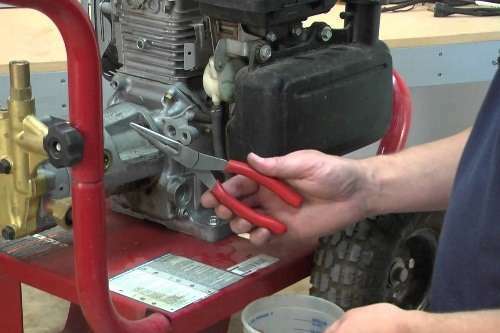 Once you have ensured the engine is switched off, pull the recoil handle twice and then disconnect the hose. Once the anti-freeze process is complete, clean off any kind of grime, moisture or dirt from the exterior. Store the pressure washer in a cool, dry place to protect it from elements outside. Following these simple steps will ensure the pressure washer remains in good working condition during the winter. Start by adding fuel stabilizer to the gas tank and allow the engine to run for two minutes. This will allow the fuel stabilizer to circulate throughout the system. Now it is time to remove the cleaning solution and water from the pressure water system. ​Set up the system for your garden hose as usual. 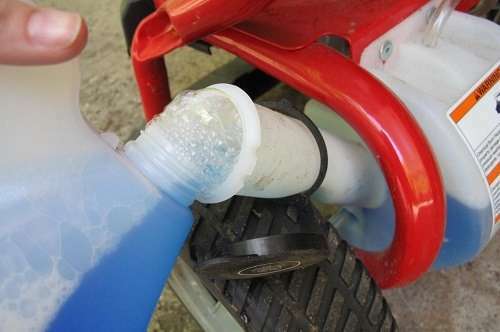 Then, put the detergent feed tube in clean water instead of using soapy detergent water. Switch on the pressure washer and pull the trigger. Use a low-pressure nozzle and allow it to run for a couple of minutes. This will help clean out the detergent from the washer system. ​Turn on the hose and detach it from the pump inlet. Pull the trigger again to remove the water from the system. Finally, invest in an anti-freeze pump saver and add it to the pump inlet if you are certain that the temperature is likely to drop. This will protect the machine against cold temperature and mineral deposits. Start by filling a bucket with tap water and place the detergent suction in it. Position the garden hose and then turn on the tap. Now, switch on the pressure washer and spray water for a couple of minutes. This will help you get rid of the detergent solution and will clear the system. Now, disconnect the gardening hose and empty the system, ensuring no trace of water is left behind. Finally, store the machine in the basement or in a warm spot to prevent it from freezing. This will prevent damage to the internal seal. 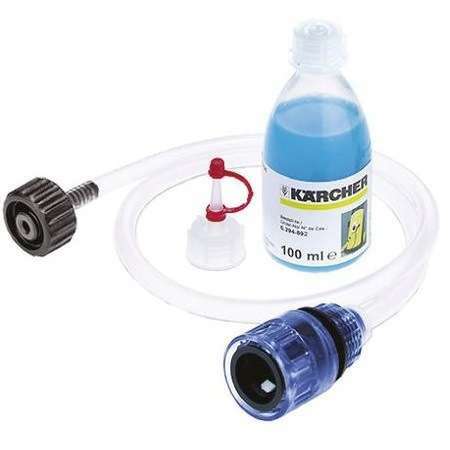 You can also add a pump saver antifreeze to protect the inner seals. Pressure washing, also referred to as power washing, is a method of using a high-velocity water spray to clean dirt and debris from the exterior of a house. Weaker or softer housing materials, such as aluminum and wood, can withstand up to 1,200 to 1,500 PSI without pressure damage. It is wise to use a wider spray nozzle to disperse the water pressure if you are dealing with more vulnerable materials. When cleaning non-painted surfaces, such as vinyl, requires higher pressure, such as 2,500 to 3,000. These machines work faster and are more efficient. Invest in a pressure washer with a detergent dispenser if you are planning to use a cleaning agent. Protect surrounding exterior fixtures, such as lights, plants and landscaping scrubs, which might suffer damage from high water pressure. Cover valuable items with plastic coverings and drop cloths and secure them using duct tape to prevent damage. Unfortunately, pressure washing isn’t as simple as you thought. 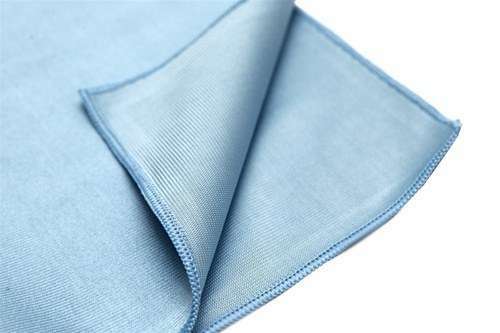 Before you get started, manually scrub any visible stains and mildew from the surface you are about to clean. Use a brush to get the job done. Once you have gotten rid of visible mildew, it is time to prepare the pressure washer. Start by mixing the cleaning solution and refill the machine’s detergent dispenser. We recommend you mix approximately 4 gallons of washing water with a pound of non-phosphate concentrated cleaner. Once this is complete, connect the garden hose to your water supply. You can turn on the water when the machine is ready. Before you start deep cleaning, test the machine by holding up the nozzle about 3 feet away from your house. You can move it closer until you feel the pressure is strong enough to remove dirt and debris without causing damage. Aim the nozzle at the top of the house and work your way downwards. Spray under-hangs, over-hangs and gutters at an approximate 45-degree angle. 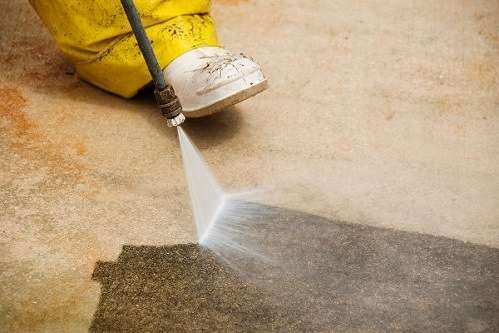 Do not forget to move the spray side to side to remove dirt more efficiently. And finally, start rinsing your house from top down. Be sure to use clean water from a garden hose. Allow the exterior to dry for at least 2 days before you start painting. 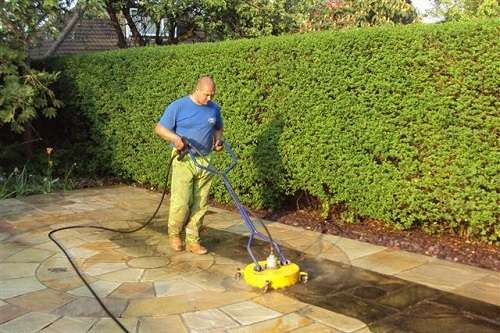 Homeowners can choose from an array of pressure washing equipment in the market. 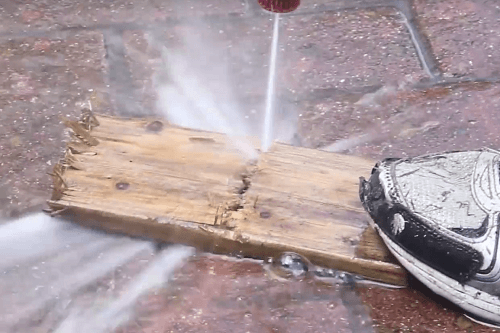 This has made it much simpler for people to pressure wash their houses, decks and driveways. Ensure the machine is powerful enough to complete the job. A heavy-duty machine will help you clean driveways and fences more efficiently compared to machine without a powerful engine. Additionally, ensure the machine can also dispense a cleaning product along with water. Sure, while cleaning your driveway and fences without any chemicals is doable, it will take longer and the results won’t last. If you want better and cleaner results, use chlorine to keep mildew and molds from coming back. A sparkling driveway and patio may be important to increase the aesthetic appeal of your house but nothing matters more than safety. If operated incorrectly, pressure washers can present significant danger to the user and the surroundings. A high-pressure blast of water can damage your house and property or result in a serious injury. If you are a newbie and are using the machine for the first time, read the instruction manual carefully and watch a couple of videos online to learn how to use the machine properly. 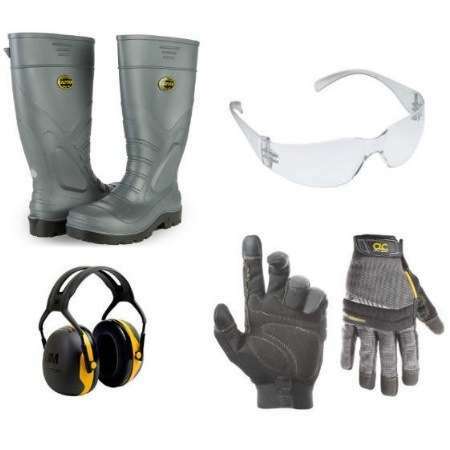 You must also take safety measures by wearing proper ear and eye protection. Experts recommend wearing boots, gloves and long-sleeved shirts to reduce the risk of accidents. When using a pressure washer, pay close attention to the direction of the nozzle. Additionally, ensure your kids are safe inside the house and are not playing nearby when you are using the machine. Also, be careful not to damage surrounding windows, screen enclosures, frames and doors. Avoid using a pressure washer when it is too windy outside as it can cause the water to blow right back at you. If you still intend on using the machine on a windy day, play close attention to the direction of the nozzle. While you may be tempted to use the highest pressure setting for every cleaning task, don’t overdo it. Use a low pressure setting when cleaning your house and deck. Keep in mind that different models and systems include varying settings whereas some machines feature interchangeable nozzles to regulate pressure. This is why it is important to carefully read the instruction manual before using the machine. Additionally, don’t forget to rinse the cleaning surface from top down to prevent the chemical from drying and leaving a mark. Plants and vehicles, such as bicycles and cars, remain vulnerable to high-pressure chemicals and streams. Consider storing valuable items inside and covering up the car to prevent damage. Consider rinsing your car before, during and after the process to dilute most of the chemicals. However, be quick to prevent the chemical from drying or else it will leave a mark. Spring cleaning doesn’t justify using a pressure washer for several hours. Keep in mind that some stains simply won’t come off no matter how high you turn up the pressure. In such cases, turning up the pressure will only cause damage to your house and property. For example, if your driveway has not been sealed and has oil spots, there is nothing much you can do, so forget about it. Rust and acorn stains are nearly impossible to remove so do some research before you begin scrubbing. It is not always a good idea to go DIY. While basic pressure washing is a relatively easy task, consider calling up a professional if the job is too tough to handle on your own. Don’t take on a huge project if you won’t be able to tackle it. Consider calling a professional if you plan on cleaning the roof or a multi-storey building. Professionals and experts have the right equipment that will get the job done efficiently. Sure, pressure washing the house yourself may help you save money but what is the point if you are not satisfied with the results or don’t know what you are doing. Always inspect the engine oil level before each use and avoid overfilling the engine with oil. Overfilling the engine can cause dangerous accidents, such as causing the spark plug to become damaged. Additionally, excess oil can find its way into the air filter, causing damage to the equipment. Before testing or even switching on the machine, read the instructions carefully. Pay attention to the washer and avoid using the machine for heavy-duty tasks if you are inexperienced. ​Avoid turning on the pressure washer before switching on the water supply. Doing so can cause damage to the machine. ​Avoid refueling the engine when it is hot. Wait for the engine to cool down before you refuel it. This reduces the risk of accidents. ​Do not open the high pressure hose when the washer is pressurized as this can cause damage to your property. ​Do not change the spraying tip or spraying pattern if you are in the middle of a task. This can cause damage to people surrounding the equipment. Always remain in a stable position when using a pressure washer. Avoid using an unstable ladder or stepping on a surface that can potentially topple over or disturb your balance. Standing on an unstable ladder can cause you to miss the target or lose balance, hitting other people or surfaces. Avoid using a ladder altogether if you are a beginner to reduce the risk of accidents. ​The high pressure hose is among the most important components of a pressure washer. Avoid using a damaged hose and do not try to repair it on your own. Simply purchase a new one since you won’t be able to complete the job without it. ​Do not forget to protect your eyes and ears before starting up the machine. Wear safety goggles as loose bits of paint and other particles can enter your eyes, leading to serious damage. Maintain a firm stance before you start spraying. You are likely to be pushed back when you press the trigger so maintain your balance or else you will get knocked back. Firmly hold onto the spray gun so it does not escape your grasp when you pull the trigger. This will prevent you from losing control when the water escapes with great force. ​Do not treat the pressure washer like a regular garden hose or a water gun to squirt water on others. Do not spray water on people or animals as the high pressure spray can cause cuts and push the person back with great force. Avoid using the machine in front of children, as they might want to test it themselves too. Do not wear shoes that expose your toes as the spray can cause severe damage to your toes if you are not too careful. ​​Be extra cautious when using the machine near power lines or electrical cables. Avoid hitting the power lines or cables at any costs as it may result in a short circuit or other dangerous consequences. ​Avoid spraying directly on windows as the high pressure can break the glass, causing water to seep inside your home or injure someone standing close by. Keep the washer away from the reach of children and do not permit them to use the machine as a toy. The washer cannot be used for spraying water at other people. If you have small children, keep the washer in a secure area away from them and do not leave the machine unattended for even a second. Older children can also not be trusted with the machine without your supervision so keep an eye on them no matter what. Once you are done using the machine, squeeze the spray gun trigger one final time after you have switched off the engine. This releases the extra pressure that may be trapped inside the machine. Keep these important safety measures in mind the next time you use a pressure washer. 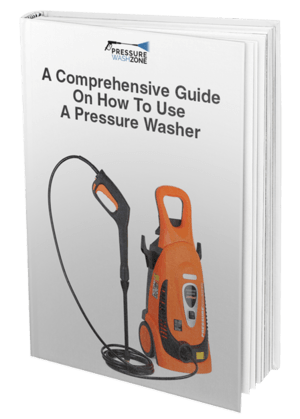 Hopefully, this handy guide has provided you all the information you need about using a pressure washer. Good luck!